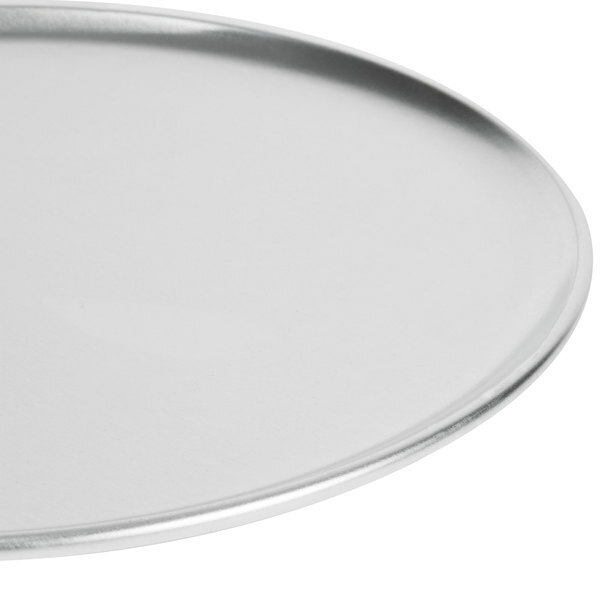 Serve up your delicious signature thin crust pizza on this 13" aluminum coupe pizza tray! This easy-to-carry pizza tray is ideal for pizza parlors, restaurants, and buffets looking for a versatile tray at a great value. 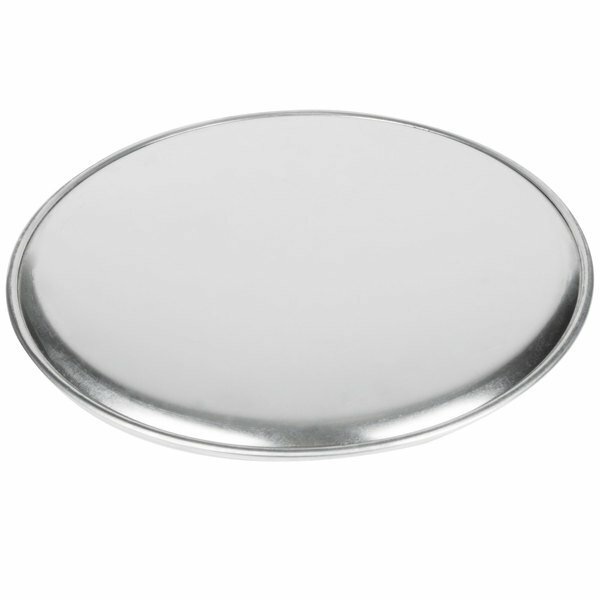 Providing you with exceptional durability, this tray is sure to withstand frequent use in your commercial kitchen. Whether it's baking or reheating your signature pie, use this tray for all of your pizza needs! "Perfect size for the pizzas we make. Makes a great surface to slice the pizza and serve. I like its simplicity and unlike our nonstick pizza pan, I can slice directly on it since there isn't a nonstick coating. 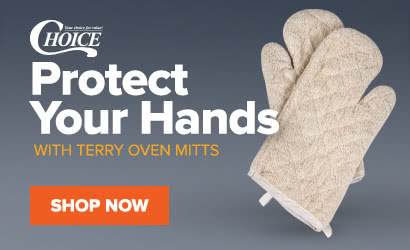 Great price and gets the job done." 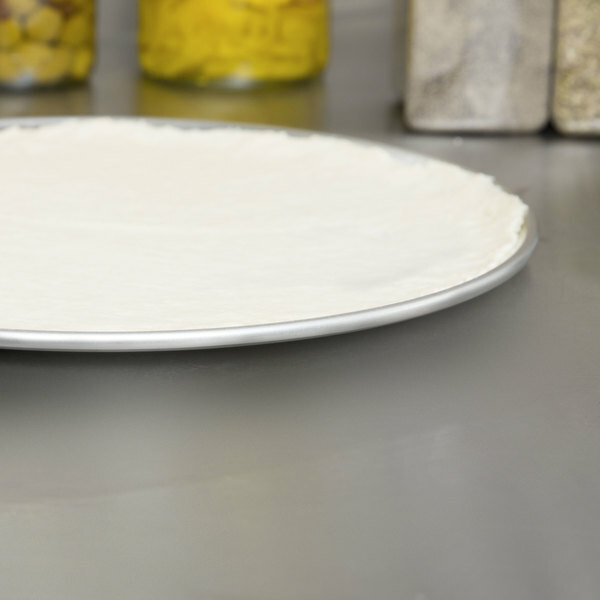 Coupe pans are a classic choice for pizza pans and can help streamline your pizza operation. Baking and serving pizzas in the same pan cuts down the number of steps and saves you valuable time. It also reduces the number of dishes you need to wash. This pan allows you to produce pizzas faster so you can serve your patrons deliciously fresh pizza quickly and efficiently. This pan can also be used for baking and serving a number of different items, such as a profitable cookie cake for the entire table to share! You can even use it to bake strombolis, garlic knots, or breadsticks. 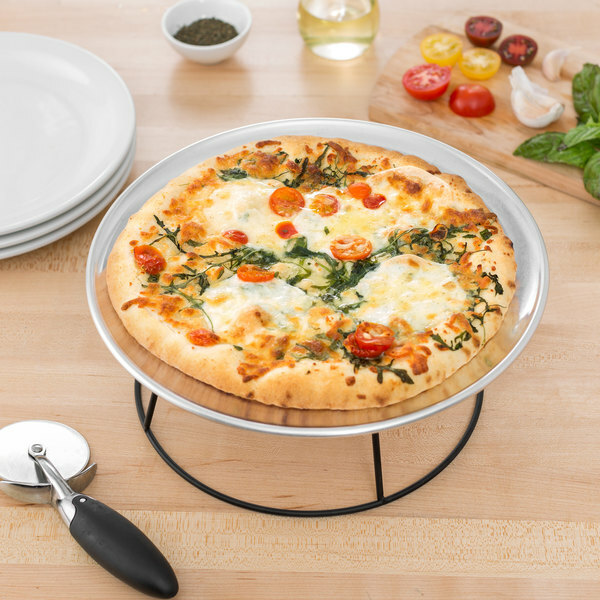 Made of sturdy 18 gauge aluminum, this durable pizza pan stands up to frequent, hard use in your commercial setting, while its aluminum composition offers superior heat distribution to ensure a soft, doughy crust. 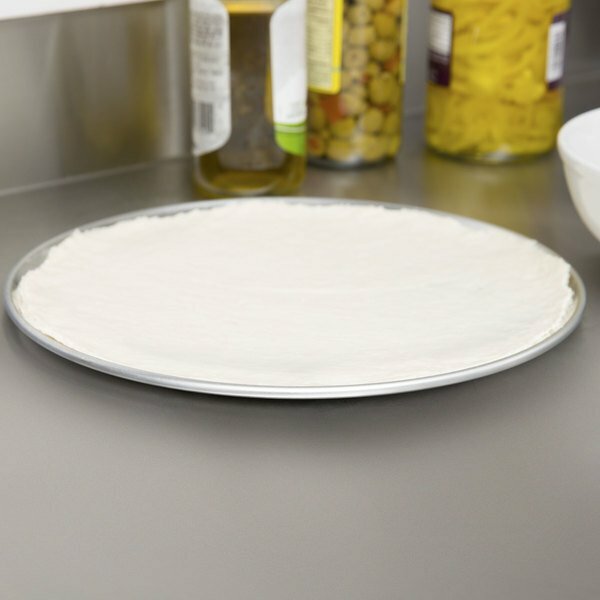 The 13" Aluminum Coupe Pizza Tray manufactured by The Thunder Group is a great value priced aluminum tray useful for a variety of kitchen tasks. Its a nice respectable gauge thickness the equivalent of most sheet pans so its well suited for its intended purpose of baking. 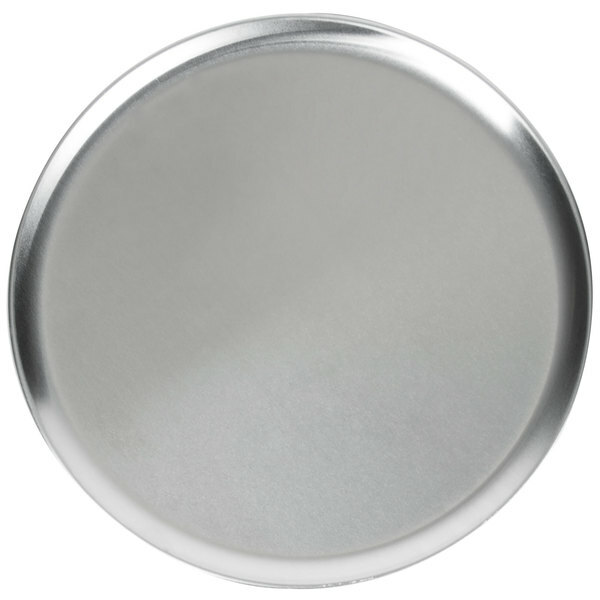 Its couple style rim is small and low making it versatile as a general serving tray or just for random kitchen use. This tray and its entire family in other sizes are great priced versatile trays that will be a valuable part of your kitchen toolkit for whatever random tasks are at hand. We make a lot of pizzas in our children's cooking school for birthday parties and other events. At first, pizzas were sticking to the pans but after several uses, they are well seasoned and pizzas never stick. Great product for the money! Perfect size for the pizzas we make. Makes a great surface to slice the pizza and serve. I like its simplicity and unlike our nonstick pizza pan, I can slice directly on it since there isn't a nonstick coating. Great price and gets the job done.